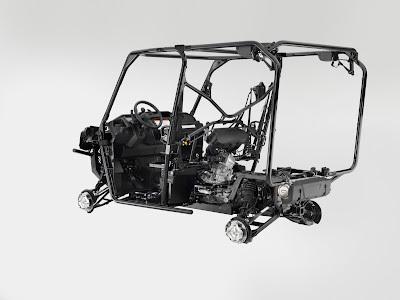 TORRANCE, Calif., Aug. 5, 2015 – Following last month’s announcement of the Pioneer 1000, Honda today revealed pricing and additional specifications for the flagship side-by-side. Powered by the largest displacement engine in its class, this groundbreaking model promises to be the point of reference in the multipurpose side-by-side category, setting new benchmarks in a number of areas. 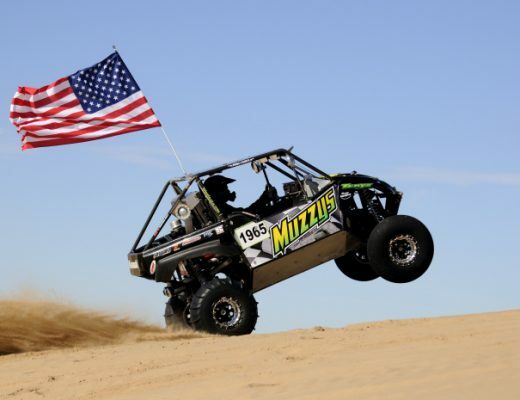 Four Pioneer 1000 models will be offered—two in the five-person configuration and two in the three-person arrangement. 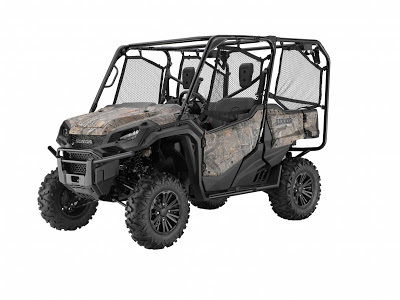 All Pioneer 1000s come standard with a 999cc Unicam® twin-cylinder engine, six-speed fully automatic DCT with high/low sub-transmission, four-wheel drive and a four-mode differential lock. The Pioneer 1000 starts at $13,999. At $15,199, the Pioneer 1000 EPS gets Electric Power Steering, tilt steering wheel and colored body panels, as well as manual paddle-shift and sport DCT modes. The five-person Pioneer 1000-5 sells for $16,199, offering Honda’s exclusive QuickFlip™ convertible seating and self-leveling rear suspension, and the top-of-the-line Pioneer 1000-5 Deluxe, with an SRP of $17,199, boasts 14” aluminum wheels, 27” radial tires, colored body panels and LED headlights. Ground clearance for the Pioneer 1000 models is 12.9” (12.4” for the Pioneer 1000-5), while curb weight varies between 1,519 lbs. for the three-person Pioneer 1000 and 1,709 lbs. for the Pioneer 1000-5 Deluxe. Full specs are available at powersports.honda.com. The Pioneer 1000 lineup is scheduled to be available in dealerships starting in October. American Honda Motor Co., Inc. was established in 1959 and is the sole distributor of Honda motorcycles, scooters, ATVs and side-by-sides in the U.S. The American Honda Motorcycle Division is responsible for the sales, marketing, and operational activities for these products through authorized Honda dealers. For more information on Honda products, go to powersports.honda.com.